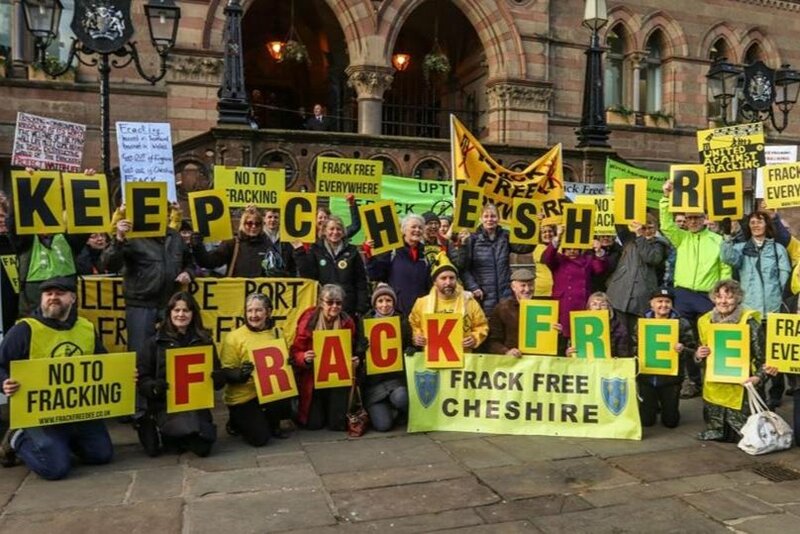 Please help us STOP FRACKING IN CHESHIRE. Cheshire West & Chester Planning Committee voted overwhelmingly NOT to allow extended well testing at the Ellesmere Port site. 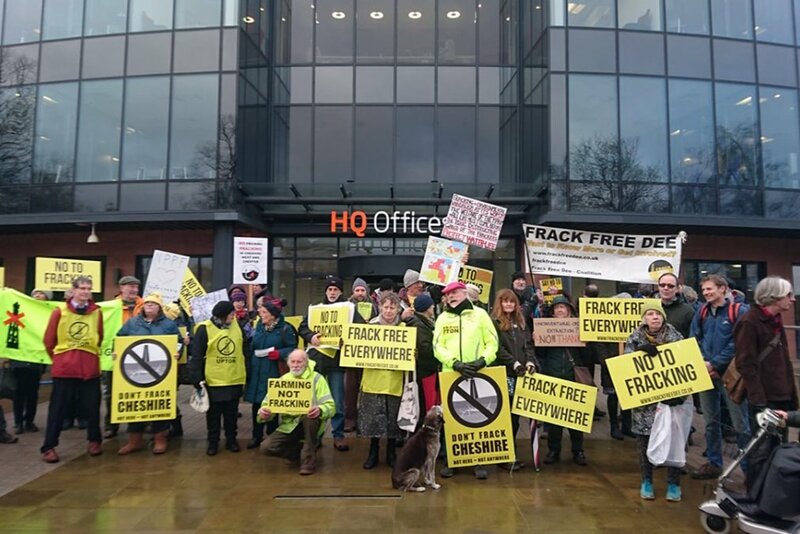 IGas has appealed against this decision but Ellesmere Port Frack Free and Frack Free Upton will be fighting them at the forthcoming public inquiry. We have assembled a strong team, but going to a public inquiry incurs great costs for legal advice, expert witnesses and other expenses. This is where WE URGENTLY NEED YOUR SUPPORT. PLEASE HELP support us to do this by donating & PLEASE SHARE! Together we can stop this. Thank you. 26th to Thursday 28th February and Tuesday 5th to Thursday 7th March 2019, running from 9.30am to approximately 5pm each day. Please come along to support the fantastic team representing us. A BIG, BIG THANK YOU to everybody who turned up to the Ellesmere Port Public Inquiry this week, especially to the MPs, councillors and local people who spoke on Friday. The inquiry will continue at Chester Town Hall from 9.30am to 5pm Tuesday 22nd, Wednesday 23rd, and Thursday 24th January 2019. It will then be adjourned, recommencing for three days on 26th February 2019. Thank you for all your support - we couldn't do this without you. Thank you so much for all your support, on the evening before the start of the inquiry we have almost reached our target. The Ellesmere Port Inquiry starts tomorrow, Tuesday 15th January at Chester Town Hall from 10am to 4pm. Running for 6 days, 15th to 18th and 22nd and 23rd January. Please come along to support our fantastic team and expert witnesses. 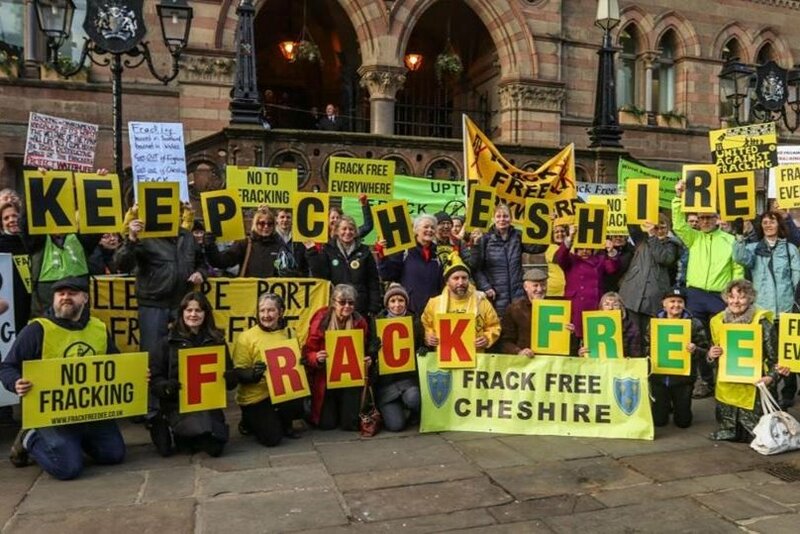 On the first day, Tuesday 15th, there will also be the Keep Cheshire Frack Free Rally outside Chester Town Hall from 9.30am onwards. We wouldn't be able to do this without your very kind financial support.